So the forces of the internets have persuaded me into posting my thoughts on the coaching situation/non-situation. You'd think that being a Michigan blogger, this is my time to shine. A coaching controversy is a chance to make hay...such good hay. It's like a QB controversy on steroids. But frankly, there is so much conjecture out there that it's becoming difficult to make the distinction between people's hopes and dreams, and what the laws of nature will allow. "Had we performed better during the season, it wouldn't be an issue," Brandon told The Detroit News on Monday, referring to Rodriguez's job security. "People are concerned and they're unhappy with the way the season unfolded and particularly the way the season closed, and I understand that. 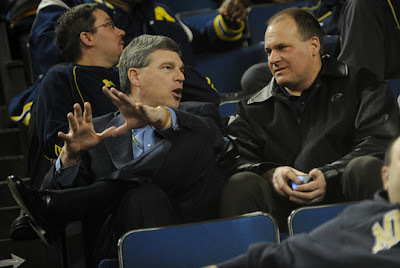 "No true Michigan fan is happy with where we ended up in the Big Ten and how the season unfolded, particularly the end." "I said when I got this job our expectations are very high," Brandon said. "We want to compete for championships, we want to be among the best, and we clearly did not do that this year. I'm not happy about that, the coaches aren't happy about that, the players aren't happy, the fans aren't happy — nobody is happy with where we ended up this year." "The team has the opportunity to practice 15 days and prepare for a bowl game, which they've earned the right to," Brandon said. "I have so consistently stated what my process is, how I do this, and what is in the best interest of the program. That's what I do, and that's what I'm going to do. All of this desire for information sooner, all this speculation is fueling curiosity — it doesn't change how I'm doing my job. "Back when we were 5-0, I said (this would be the evaluation process), along the way, I've said it, after exciting wins I've said it. This is how I'm going to do my job. I have not equivocated on that at all. Just because people out there are stirring the pot, that's not going to deter what I'm going to do." Not that anyone should be surprised by any of this, but the methodical way in which Brandon conducts the business of making decisions, he's definitely saying much less than what he's actually doing. Read between the lines and you'll see he's not saying anything like "I stand behind my coach" anymore. Now the tone has shifted to "I understand your concerns, and I agree with you". I can only imagine how many phone calls Brandon must be getting about this. But I do have to add myself to the list of folks out there who wonder why he's waiting for after the bowl game to make a decision, or at least saying that anyway. And I think the simple answer to that is, he's using this time to arrange the pieces of the puzzle that fit the way he wants them to. A decision should be announced well ahead of the bowl game. All of this talk about waiting until the Rodriguez buyout becomes cheaper on Jan 1 is nonsense to me. It does no one any good to delay a move until then. The sooner something happens, the easier a transition will be. Personally, I think he wants someone in-place ready to go the day Rodriguez leaves. No coaching search needed. I think Harbaugh is not just the leading candidate...as he should be, but maybe the only candidate. 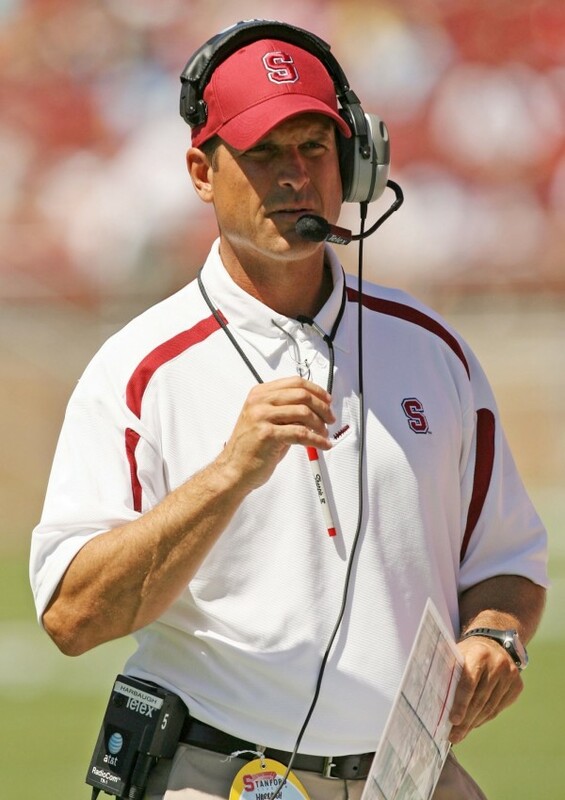 He's done a marvelous job at Stanford. But clearly, he's ready for the next step. Any NFL owner would be happy to have him. 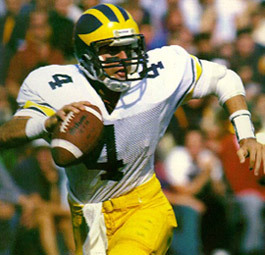 But there's really only one college that Harbaugh would consider...and that's Michigan. Some damage control will be needed because of Harbaugh's recent comments about his alma mater, and Mary Sue Coleman might need to be persuaded...but I think some of that might already be going on. The biggest question to me now isn't whether Rodriguez stays or is fired, but rather if Harbaugh coaches the Stanford bowl game or not. If Rodriguez goes, offensive coordinator and assistant head-coach Calvin Magee likely coaches the bowl for Michigan before heading out to parts unknown. That leaves the door open for Harbaugh to do as he pleases before parting ways with the Cardinals. Again, let me reiterate that I have no idea what's really going on. Part of this is just me thinking out loud with a keyboard. All we know is what Dave Brandon tells us. He's saying all the right things, and I still think the Michigan program is in good hands no matter which decision Brandon makes. I fully support him and hope that it's sooner rather than later before more definitive news is broken. I think its in everyone's interest that a decision gets made, and we can all move on. I have mixed feelings about Harbaugh, but am definitely ready for a coaching change. Let me throw this out: how about Michigan trying to get Jon Gruden like Miami is trying to do? Yes, he's not a Michigan man, but I don't think too many people would be disappointed if we landed him or someone of his caliber. Hopefully DB isn't so much of a staid businessman that he can't think outside the box. I think any new coach worth his weight would leave Michigan’s offense relatively intact for the near future. Only RR’s misguided philosophy is to disastrously start from scratch and put in his own system with total disregard to the dedicated Michigan players who were recruited by the previous coach and didn’t fit into the new plan. A new coach would bring in a new defensive and special teams staff, which might happen anyway, but a new coach would definitely get rid of the RR cronies on the defensive staff and let the DC do his job unhampered. Finally, a new coach will offer hope, and if he is indeed a good coach, instant, easily recognized improvement. It's time to throw off the heavy, depressing mantle wrought by the failed experiment of these last three years and hold our heads high again. We're Michigan. We can do better. We could have done better all along. It’s a fallacy that a new coach means we end up like RR’s first year. Michigan should never have fallen so low. It was RR’s dogmatic approach to throw the baby out with the bath water that is the main cause of our woes. A good coach works with the talent on hand, even if they are lacking, even if he must put off his own preferred system, and puts forth a team which plays with discipline and confidence. The Michigan players deserve more than to be blamed for the coach’s failings because they aren’t quite talented enough, especially by the coach himself. Give me a break. It’s time we all realized that RR is the one not talented enough: not talented enough to hire and manage an effective defensive staff, not talented enough to use the little he found in his “bare cupboard” more effectively, not talented enough to recruit decent kickers, etc. It’s not the players, it’s the coach. No “ifs, ands, or buts.” He’s a nice man, and I wish him luck, but show him the door. There are coaches out there who can do much better with what we’ve got and get us to a National Championship. RR hasn’t won one yet, so why are we banking so heavily on him? Try a Harbaugh, or Les Miles, whoever. (Gruden would work. Cowher?). Anything but more of the same. And I agree that it is to happen, the sooner it's announced the better for everybody.